The Arcaboa Vision range of freezers has large high vision curved glass lids to create an excellent display. Units can be arranged into islands with head case units (Vision 180HC) to go on the ends. Multiplex kits are available to join them together and shelving kits can be added to give extra opportunities for impulse sales. Cabinets are available in hinged or sliding lid options in 1.5 metre and 2 metre lengths to give the many versatile options. 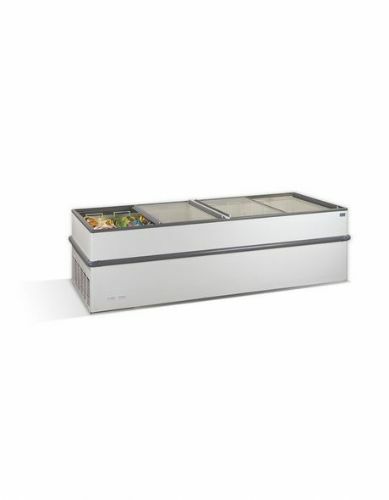 We find the unit is very popular with freezer centres and large convenience stores.